Mountain View's defense was nothing to write home about Tuesday in its second showdown with its nearest East Valley Region rival Westwood. The Toros committed four errors leading to half of Westwood's runs being unearned and helping the Warriors to an early 5-3 advantage. Mountain View's bats, however, were the great equalizer and thensome. 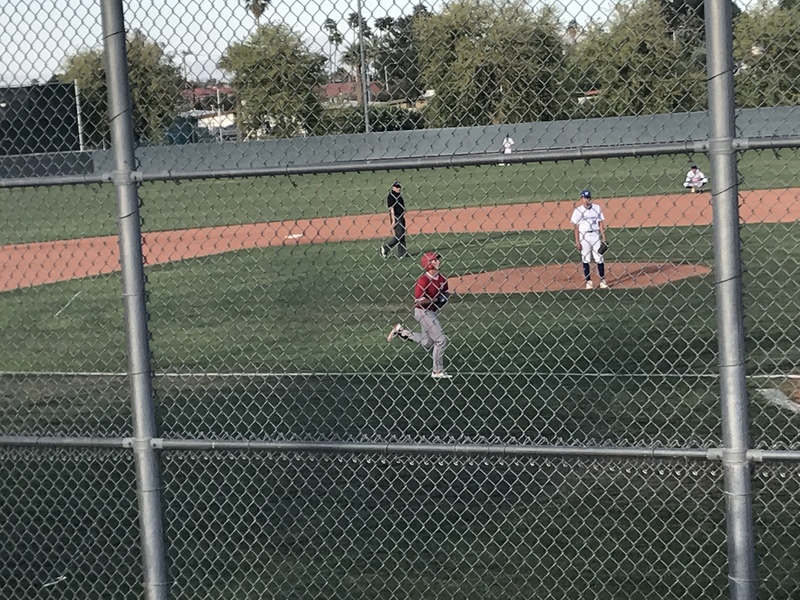 The Toros cranked out 17 hits -- 12 for extra bases - and rallied to take a 14-8 victory in a three-hour, 6A game at Westwood. Mountain View, the new No. 1 in the the most recent power-rankings released earlier Tuesday, continued a torrid pace with its 13th win in a row. Mountain View is 19-3 overall, 11-2 in power-ranking game and holds a commanding lead in its region at 6-0. The closest team to the Toros in region is Mesa (4-2), but Mountain View holds the tiebreaker having swept Mesa in the first region series of the season. Westwood, No. 3 in the latest power rankings, fell to 15-4 overall, 11-3 prg and 3-3 in region. "This was one of those wind-aided games and we had a lot of hits," Mountain View coach Mike Thiel said. "We have to play better defense. I was disappointed about that today. It wasn't for a lack of effort, but a lack of concentration." Two of Mountain View's errors took place in the first two innings. Westwood batted around in the second inning and scored four times off Mountain View's most consistent pitcher this season, Dallas Wise, to take its only lead of the game. Mountain View, which scored three times on five hits in the first two innings, hiked the production in the third to take the lead back for good. The Toros scored six times in the third scoring five of the runs with two outs as six consecutive hitters reached base. Sizzling leadoff hitter McKay Barney ripped his third double in three at-bats to start the onslaught. Wise, Sean Rimmer and Thome Nickelson added the other RBI in the frame. Bennett Wagner knocked in a run in the inning prior to the second out. Barney has an eight-game hitting streak and during the 13-game winning streak has set the table to the tune of 26 for 43 (.605 average). Westwood was buried the next inning as Mountain View tacked on five more runs using three doubles and a pair of home runs. The home runs were courtesy of Cam Jowaiszas and Tyler Barnes. The top three batters in Mountain View's order - Barney, Wise and Rimmer collected three hits apiece with Wise and Rimmer driving in three runs each. Barnes also checked in with a three-hit day and Nickelson and Wagner finished with two hits each. Westwood managed 11 hits off four Mountain View pitchers. Manny Collier, Erik Ortiz and Brenton Dyer had two hits each for the Warriors. Ortiz and Macs Carrillo had two RBI apiece. Mountain View plays two more region games Thursday and Friday taking on Skyline in games to be played at HoHoKam Park. Skyline is battling to earn a spot in the play-in round. The Coyotes were No. 25 (24 qualify for the play-in round or first round at state). Westwood also has region games Thursday and Friday vs. No. 7 Mesa High, both at HoHoKam.